Most couples will want their wedding to be as special as possible. One great way to make sure that you create the perfect catered wedding in Toronto or the surrounding area is to introduce a seasonal theme. We’re not just talking about the decorations, but also the food. The advantage to choosing a menu that uses foods that are in season is that you will get hors d’oeuvre and main meals that taste great and can even be sourced locally. 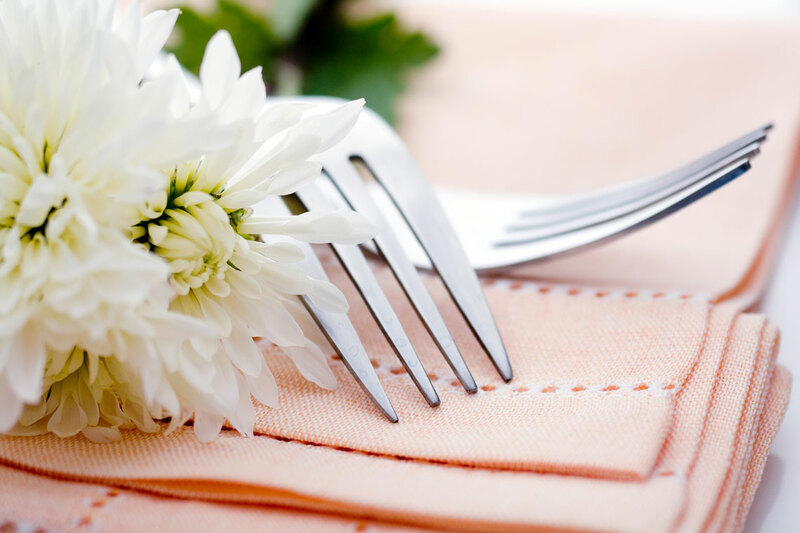 By instructing your catering service in Toronto, Richmond Hill or Vaughan to make sure that the food is seasonal, you will even be able to keep the cost down. This will also be appreciated by your guests as it will be noticed. You should have a clear idea what your food budget is for your catered wedding in Toronto. This should be a line item under everything else that you have to pay for as you plan your wedding day. You may find that the catering for your wedding is one of the higher ticket items on the list, so shaving off a few dollars here per plate can really make a big difference. Your catering team in Toronto, Richmond Hill or Vaughan will be able to work with the budget that you provide and once you tell them what you can afford, you will be amazed at how they will maximize every dollar so that you get the wedding that you have always dreamed of. This number is an important factor when it comes to budgeting, but also it is very valuable information for the catering company in Toronto, Richmond Hill or Vaughan. There are a great many logistical requirements that will need to be addressed such as the number of tables and chairs and the amount of food to prepare. For a wedding catering company in Toronto to adequately prepare for your event you will need at least a rough idea of the total number of guests you expect. This is just as important for weddings with fewer guests. When you know that the number of people at your wedding will allow you to spend more per person, this can be a real game changer. This will usually be covered off in the RSVP section of the invite of your wedding, you should always make sure that you are aware of any of your guests dietary requirements. This will usually be fairly straightforward for your catering company in Toronto as they will be used to many of the common dietary requirements. You should let them know as soon as you hear back from any of the guests about anything specific so that arrangements can be made. You may be surprised at how far a few little extra additions can go when you are planning your wedding day. It can be something as simple as adding a charger plate, or even opting to have a unique centerpiece that means something to you personally. These little additions that may not seem like much, will make your wedding just that little bit more different from all of the other weddings you guests have gone to recently. When you are working with your catering service in Toronto, Richmond Hill or Vaughan you should definitely consider the option of having a late night snack towards the end of the wedding. Your guests will really appreciate having something hot they can eat as the night draws to a close. After all of that partying and dancing, a little extra food will really go down well.